Calculus-Based Physics II by Jeffrey W. Schnick, Ph.D., Saint Anselm College is licensed under a Creative Commons Attribution-ShareAlike 4.0 International License, except where otherwise noted. There are no indices or glossaries. I think the book is short in not including “Quantum Physics” and “Relativity”. I suggest shortening the Optics (Chapters 22-29) and including an introduction to “Quantum Physics”. Or Quantum Physics may be added without a change in optics so that the instructor can pick any sections of his/her choice. Also the book is short on Examples and Problems (Except for Farady’s Law where enough examples have been provided). I actually think discussions on Farady’s law are too long with lots of repetitions of the same idea over and over again. The repetition also occurs on other occasions (for example on pages 273-283). There is a “level” confusion. At some sections one thinks that the book is for algebra based students (For example see pp. 229-235; pp. 240-241; p. 272 second paragraph) and at others it is advanced calculus (for examples pp 117-120). I think there is a need for a complementary “Student Study Guide Book” to include examples with solutions, examples without solutions and problems with answers only. There are few errors in the content (for example p. 239 Line 3 definition of refractive index: reverse it to read: Ratio of the speed of light in vacuum to the speed of light in the medium). Also the equations on page 316 must be corrected (for the change of the magnetic field direction outside the solenoid in the diagram on the same page) to read: 0+B(TOP)L +0 –B (BOTTOM)L = mu(zer0)nLI. Some content can be modified or rearranged for clarity. For example instead of the long sentence on page 2 Line 3 “a force-per-charge-of-….” Which is used many times throughout the book, the idea of a “test charge” can be introduced early and used as simpler alternative. On page 17, Line 13 “by forces not specified” may be deleted. It is more confusing than helpful. On page 21, instead of “The Vector Addition Recipe” Table, it is better to complete the vector addition of E1 and E2 to find the total vector E.
On pages 42-43, calculations which are done later on that page, can be done earlier to derive Eq. 6-1. Page 44 Line 2: A particle of …. “by unspecified means” delete “by unspecified means”. Page 63 Line 2: There are no distinction between “random motion” and “directional motion” of charges. The current is due to the “directional flow of charges” and needs clarification. Page 96 Line 5 from the bottom: replace than with then. Page 144, Line 7 “something curly something straight” and similar instances on other pages may be omitted. As for the diagrams, I think some of them are overdone with too many diagrams for the same topic (For example pp128-131 seven diagrams; pp. 199-210 eighteen diagrams). In my view these can be reduced. For diagram on page 139, also show point P on the diagram. For diagram on page 263 the ray diagram must be corrected on the right hand side of the second lens so that it is similar to the diagram on page 265. For diagram on page 300, the “P” must be closer to the point at the bottom of Et arrow. For diagram on page 315, the direction of “arrows” outside the solenoid must be reversed. This affects the equations on page 316 as mentioned above in the second paragraph. The text is relevant and it is possible to update the text and add or delete sections of it without much problem, though it may need some work. The text is easy to follow and jargons have been adequately explained, though there are some non-standard jargons such as “ ..-of-would-be-victim charge (Page 2 Line 2; Page 9 Line 5; P 10; Page 41, and other pages), and “right hand rule for something curly something straight (Page 144 Line 7; Page 182, Line 5 and others). On page 143 after equation 17-2 a sentence like “This is the Ampere’s Law” must be added. There are many references to the Ampere’s law without actually specifying it in the text. Also on page 2 Line 17 “a.k.a.” I suggest adding “also known as” inside parenthesis in the first appearance of "a.k.a." The book is consistent; however electric sections and magnetic sections have been broken into two categories where simpler topics have been discussed earlier and more advanced topics later on in the book. For example while chapters 1-14 includes the first category of electric topics, chapters 30-32 deals with the second category of electric field discussions. Similar approach is used for magnetic field discussions on chapters 15-20 and chapters 33-36 respectfully. This is not a big issue and purely an instructor’s preference. The text is easily and readily divisible into smaller reading sections and can be assigned at different points within the course. The text is not overly self-referential, and may be reorganized and realigned with various subunits of a course without presenting much disruption to the reader. The topics in the text are presented in a logical, clear fashion, although there are some unnecessary oversimplifications for the level of the course. For example: Page 4, first paragraph, Page 14, first paragraph and pages 158-160. Some of explanations are more confusing than helpful. For example, on page 3 the segment “by means of …” all can be replaced by saying that “like charges repel and unlike charges attract”. Also the third paragraph of page 9 is more confusing than helpful can be omitted all together. On the last line of page 31 before parenthesis the sentence “The electric field will be stronger at sharp edges than on flat sections” may be added for clarity. First paragraph of page 148 adds more complication to discussion and may be omitted. The approach to the EM waves on pages 179-181 are better than the standard texts on the same topic and appreciated. Explanations of pages 232-242 can be shortened a lot. 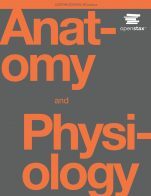 There are no hyperlink navigation provided in the format of the textbook, so no issues of this sort. I did not notice major grammatical errors except one (Page 96 Line 5 from the bottom; “than” needs to be replaced with “then”. Also, lines 4-5 on page 225 (delete “is” or add something to complete the sentence. I think the book as a whole can be used in Canadian institutions without any problems. However, it would be a big improvement if my comments on items 2, 3, 5, and 6 above taken into consideration. I think there is a need for a “Student Study Guide” to provide more Questions, Problems, and Exercises; some with solutions and some with just answers and some without any answers/solutions. 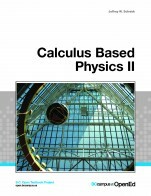 The text is a "First Year; Second Term" Calculus Based Physics and can be used as such in different departments. 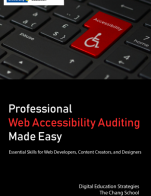 I have page by page comments on this book and can provide them if needed. This text covers all the standard ideas for a first year physics textbook in the second semester: Charge and Coulomb’s Law, Electric Fields, Circuits, Magnetic Fields, Electromagnetic Waves, Wave Interference, Thin Lenses, Gauss’s Law, and ending with Maxwell’s Equations. I wished it had anything on Einstein and Relativity. It ends with Maxwell’s Laws. Einstein is at least mentioned briefly in Physics with Calculus I. Heat and Thermodynamics is covered in Physics with Calculus I, and it could be easily combined for those institutions that do heat in the second semester of a first year course. 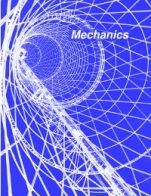 This book has the same strengths and weakness of Physics with Calculus I.My review for this book is very similar to the review for Physics with Calculus I. The author clearly wrote this for a two-semester course. I do not feel that you could use Physics with Calculus II all on its own as many things refer to the first volume, including the mathematical review in the very first chapter of Physics with Calculus I. Think of this as the second volume in a two-volume set. There is no index or glossary in Calculus Based Physics I or Calculus Based Physics II. The content is accurate, error-free and unbiased. This is more a series of very well written lecture notes or theory than a textbook. The diagrams are clear, simple black and white sketches. What is there is clear and accurate with a few exceptions that I will detail here. This idea of victim fields was introduced in the first book in the gravity chapter on page 70. “The effect of the gravitational field is to exert a force on any particle, any “victim,” that finds itself in the field.” I find the use of the word “victim” off-putting. I could not find anywhere else in the physics literature where this phrase was used. He uses this phrase repeatedly in the discussion of Newton’s Laws “ A force is … something that an object can be a victim to, it is never something that an object has.” The word victim is not used in the discussion of Newton’s Third Law where all forces come in pairs. What is the victim in this case? I consider this an error. Now in this book, Calculus Based Physics II, the next paragraph has the statement “that either charge can be viewed as source charge and either can be viewed as the victim charge. Identifying one charge as the victim charge is equivalent to establishing a point of view.” This statement is accurate and might help up clear any confusion. I personally find the use of the word startling and off-putting at the very least. I think it is confusing and not helpful. This might be more of a stylistic choice than an error, but I found that the short phrase “(there are no magnetic monopoles) “ on page 146 when the magnetic field was introduced on page 115 with a discussion of magnetic dipoles unusual. It is certain to raise questions in student’s minds. Why was the issue of monopoles not addressed much earlier and with at least a paragraph of explanation? In a comment about soap bubbles and oil on puddles on page 217 I think the author should clearly add a statement along the lines of “you see many colours while looking at the thin film of a soap bubble.” Without explicitly talking about colour. I think students will not make the connection between soap and what is being discussed here. One of the many joys of physics is that the basic first year science changes very little year to year. The content in the book is thus up-to-date. The text is written and arranged in such a way that necessary updates will be relatively easy and straightforward to implement. Some of the sentences tend to run on. 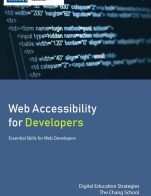 The text is internally consistent in terms of terminology and framework. Physics is a subject that builds on a few basic laws. The concepts of energy which were introduced in Calculus Based Physics I are clearly mentioned and derived in similar waves in this book. The text could easily be reorganized and realigned with various subunits of a course without presenting much disruption to the reader. It was clearly written with modularity in mind, and does that well. In my opinion this is essential here as there is very little calculus in the textbook until Chapter 30. This is where very detailed calculations of the electric field with good illustrations are located. I would have preferred them to be in Chapters 2 or 3 where the electric field is first introduced. I can see where the author might have chosen to do this but I personally found it very strange in a book that is calculus based. The topics in the text are presented in a logical, clear fashion. As I mentioned in the previous section on modularity, the text could easily be reorganized and realigned with various subunits of a course without presenting much disruption to the reader. It was clearly written with modularity in mind, and does that well. In my opinion this is essential here as there is very little calculus in the textbook until Chapter 30. This is where very detailed calculations with good illustrations are located. I would have preferred them to be in Chapters 2 or 3 where the electric field is first introduced. I can see where the author might have chosen to do this but I found it very strange. In general, what is there is very clear and easy to read. To make this clear, there was really only one illustration, on page 193, that I had difficulty with. It was an attempt to show the electric and magnetic fields of a electromagnetic wave propagating through space. It was very difficult, virtually impossible, for me to see on my computer screen and as a print out using a high quality laser printer. This is a very difficult concept to illustrate so I do want to acknowledge the effort, but I just could not see things clearly in this section. I think the book needs many more images and charts, but when they are used they are clear and tend to photocopy very well. This was a stated aim of the author and the book is successful in this way. I sometimes had trouble on the screen of my MacBook Air with the equations, but the print outs were clear. The text is culturally sensitive. It is not offensive in any way. The advantage of physics is that there is no need to us examples from any particular race, ethnicities or backgrounds. My main criticism of this book is that it needs many more examples. There are a few phrases that I think some students would have difficult with. “I spilled the beans” is used on page 41. This is a colloquial term that I know many of my Canadian students will not understand. It is not needed in this sentence and I recommend deleting it. There are very few of these in the book though, so this is only a minor comment. This is more a series of very well written lecture notes or theory than a textbook. The diagrams are clear, simple black and white sketches. To be a more useful textbook it needs many more written examples and more examples from everyday life, questions in the book with answers so students could check their understanding, and many more textbook questions and problems.